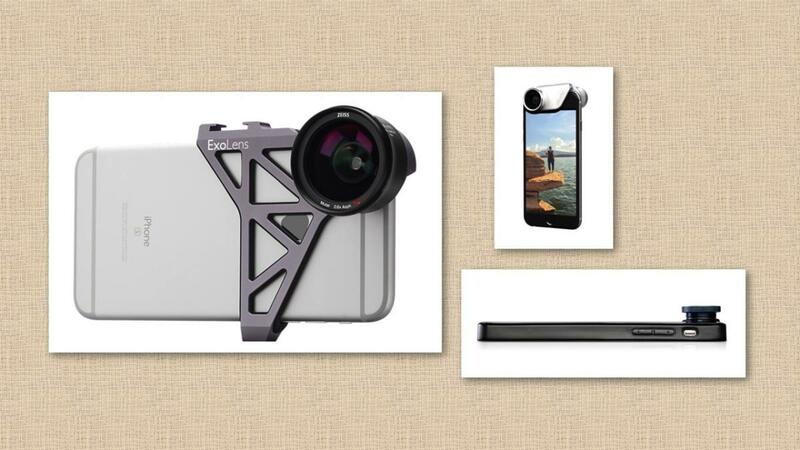 Macworld last comprehensively tested iPhone add-on lenses in 2014. In this update, I called in the leading iPhone lens systems, and tested them over several days of shooting the same scenes for comparison along with different scenes to highlight strengths and weaknesses. I tested each system with an iPhone 6s, which has an f/2.2 aperture, 29mm (35mm equivalent) focal length, and 12-megapixel camera system. The same system is found in the iPhone 6s Plus and iPhone SE, as well as the 9.7-inch iPad Pro. All the systems tested also offer cases or require no case to work with an iPhone 6, an iPhone 6 Plus and 6s Plus, or an iPhone SE. Some work with older phones as well. Some of these lens systems also work with iPads, although they may require special cases or brackets; I’ll mention compatibility in individual system reviews. To test systems, I assembled bags full of the cases and other adapters combined with the lenses and shot a number of the same scenes in the field and in a studio with each kind of lens from each system. This involved a lot more work than nearly any iPhone photographer would want to engage in: removing a case, putting a new one on, and cleaning the iPhone lens and add-on lenses. Most systems’ cases are designed to remain on at all times, with the lenses being removable. Because not every kit includes a tripod mount, a tripod, or a monopod—or offer some of those as add-ons or in certain more expensive kit configurations—I shot everything freehand to simulate the conditions most people would engage in, but also in circumstances with sufficient light that shutter speed and focus didn’t become issues. Quality of case or attachment. Ease of attaching and removing lenses. Covers and bags for storing lenses while not in use. Lack of lens aberration, which causes color spreading, object distortion, and other effects. We decided to focus (sorry) on three categories of lenses. The iPhone camera system’s key missing piece is that it has to compromise on providing a medium-focus lens that works in a variety of circumstances. A high-quality wide-angle lens lets you get relatively close to a group of people or capture a broad swath of a big scene. The key is avoiding distortion. These sors of lenses have a very close focal point, a sort of inverse of telephoto, so you can get close to an object, like a ladybird beetle, a flower, or a manufactured item, sometimes just fractions of an inch away, and have it in sharp focus. Macros are sometimes built into a two-lens combo with a wide angle or telephoto, where you unscrew the outer lens to have access to the macro. Pinch-to-zoom digital enlargement is useful but unsatisfying for a crisp shot with more detail, as it just makes pixels bigger—there’s no additional information captured. A telephoto lens makes an iPhone feel much like a “real” camera. Some of the telephoto lens are hilarious looking: tiny versions of the long-barreled bigger siblings used with DSLRs and mirrorless cameras. While I tested a few specialty adapters, like fisheye lenses, we opted to not include them, as they can’t be used in a broad variety of photography, and the result is pretty gimmicky in most cases. There are quite a few of these, often included in multiple-lens sets and systems. We’d always advise the best wide-angle camera you can find rather than a true fisheye. When opening box after box of iPhone lenses and associated cases, I realized that many lens systems are a commitment. The complexity of switching among ecosystems is generally so high, most people will buy into one and collect lenses for it. Lenses in some systems can be purchased and used individually, and some are remarkably inexpensive. Other lenses are only sold as part of a set and require a case to work at all. Diversity and competition are good, providing options that cover a wide range of purposes and wallets when you’re trying to get more out of the camera you carry everywhere than its high-quality built-in lens allows. Add-on iPhoto lenses obviously don’t replace the lens that comes with your phone. They’re designed to take into account the optics of the system that Apple offers and then add one or more intermediate lenses to produce the desired effect, from fisheye or pancake to super zoom. While the iPhone 6 includes a broadly useful lens, it has to serve many purposes. For very near or “macro” shots, you can’t focus closer than about two inches. The 29mm equivalent built-in lens is technically wide angle, but you know from taking group photos that you have to back off some distance to fit in a small group. And although Apple includes a digital zoom, that simply enlarges pixels rather than adds detail. These add-on lenses are designed to solve all of these problems with a different lens or lens combo that addresses each distance. A macro lens lets you get in close to the subject of your photo, typically less than an inch, and some macro lenses also offer magnification, amplifying the effect. Wide-angle lenses with a broader scope than the iPhone’s allow you to capture groups, nature, and sports events with a feel more like a DSLR or mirrorless camera. And telephoto lenses make the far-off appear closer, although that’s a modest and under-represented category in iPhone add-ons. Because of the cost and array of lenses required for telephoto, most I tested were only a factor of about two. That’s still substantial, but it’s nowhere near the options available with even low-end point-and-shoot digital cameras. 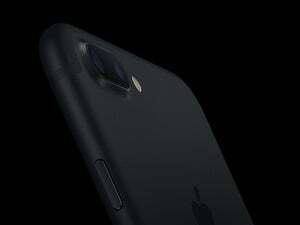 The iPhone 7 and iPhone 7 Plus introduced in September 2016 will pose a problem for many of the lens systems tested, though we believe this will be fixed quickly for the single-camera iPhone 7, where only the camera “bump” and shape has changed. The add-on lenses designed to work with the 29mm equivalent lens found in the iPhone SE, 6s, and 6s Plus (and with similar lenses in many other iPhones and iPads) shouldn’t need any modification to work with what Apple called a 28mm equivalent lens in the iPhone 7. We note in the in-depth reviews whether the cases or lens systems are iPhone 7 compatible.